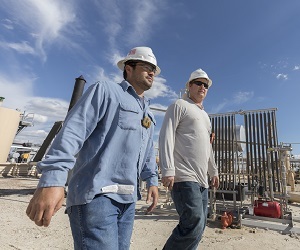 At Marathon Oil, you’ll enjoy a culture that encourages you to take ownership and be bold – a culture that is about being one team, focused on delivering results, while valuing safety, responsibility and ethics above all else. Stay connected by joining our network. Enter your email and tell us a bit about yourself and we'll keep you informed about upcoming events and opportunities that match your interests. View our featured positions in your area of interest by clicking the links below. Search for a career with Marathon Oil in one of our many locations.